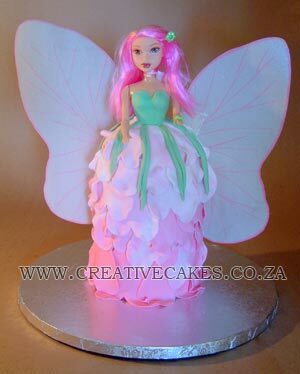 Fairy Barbie Cake Design - 3D Barbie Cake, perfect girls birthday party cake! 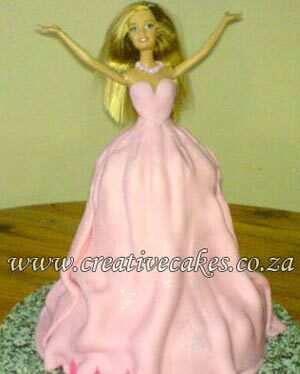 Barbie and Ken fans will love this cake. 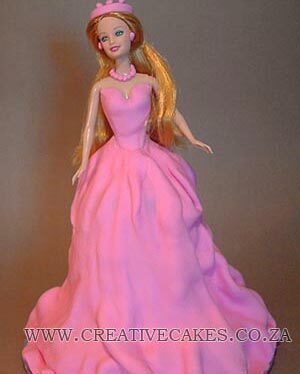 A Barbie Cake can feature Barbie on her own wearing one of many ball gown designs. Above are three different variations for this example as well as one very different layout. 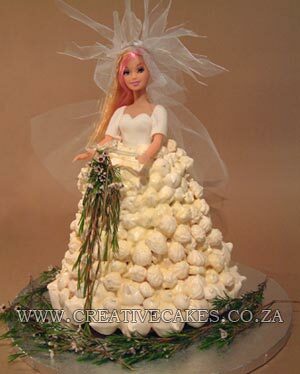 These cakes can be customised for your child. 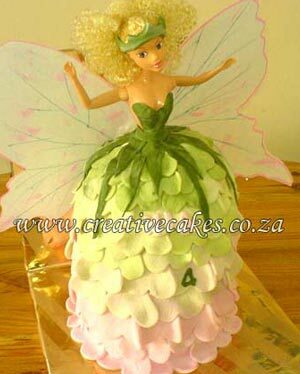 Any doll can be used with all different colours, themes and layouts.